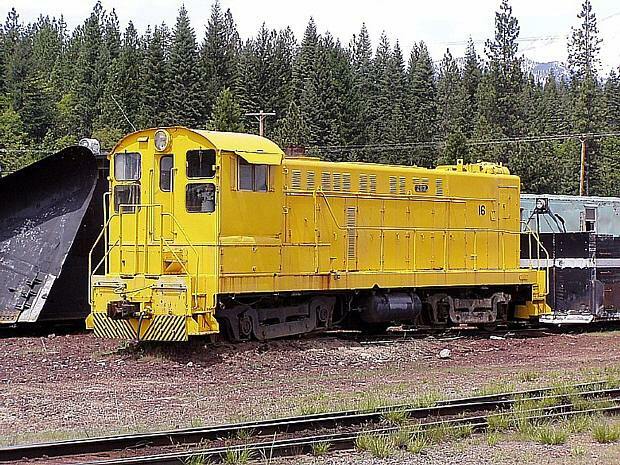 Locomotive #30, wearing the paint scheme it was delivered to the McCloud in. Photo has "Stan F. Styles, 9/57, Potlatch Idaho" written on the back. From the Jerry Lamper collection. 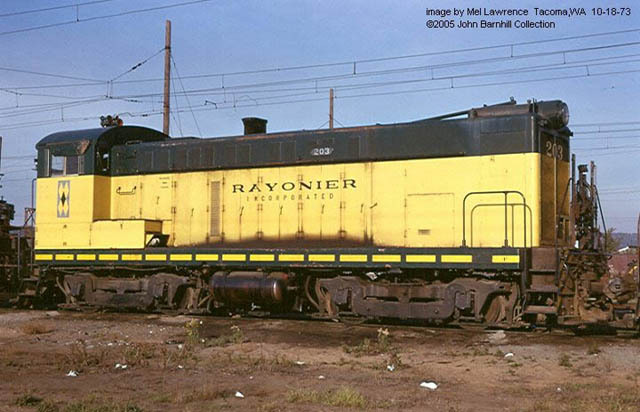 The #30 working in the McCloud yard shortly before its sale to Rayonier. Al Heath photo, used with permission. 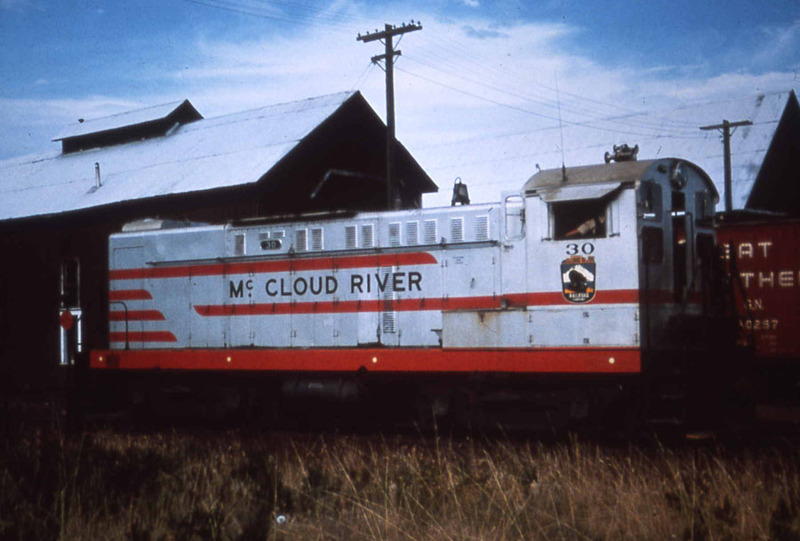 Rayonier #203, ex-McCloud River #30, in storage on the Milwaukee Road in Washington in 1973 following the end of Rayonier's logging railroad. Mel Lawrence photo, John Barnhill collection. McCloud #30 as it appears today. McCloud, CA, 5/2004. Photo by and courtesy of George Landrock. Another shot of the #30 as it appears today. Photo taken 29 August 2004 by Robert Jacox and is used with permission.